Good luck, Rev. Gábor Magyari-Köpe! I was surprised to learn that after 15 years of service Rev. Gábor Magyari-Köpe has left the Free Magyar Reformed Church of San Francisco and Vicinity. I don’t know the reason for his departure but want to wish him good luck. Magyari-Köpe grew up in an ethnic Hungarian family in Brasov (Brassó in Hungarian), Romania. According to his bio, he comes from a family of line of pastors. 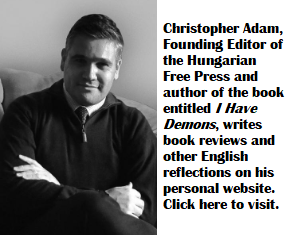 After graduating from the Protestant Theological Institute in Cluj-Napoca in 1998, he first served as Pastor at the Hungarian Protestant Community of Sweden. 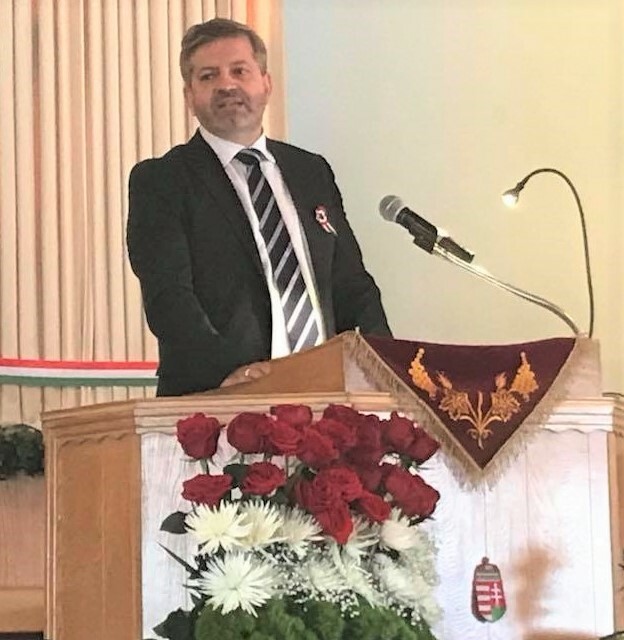 In October of 2003 Magyari-Köpe was elected as Pastor of the Free Magyar Reformed Church of San Francisco and Vicinity. His wife Blanka is a scientist and they have two kids. I know Magyari-Köpe and had casual conversations with him over the years. He was always courteous and helpful and I hope he finds fulfillment in his next assignment. Many Hungarian Reformed pastors in North-America are from Transylvania and do an admirable job. These congregations are generally small and the congregants are often elderly; the churches are financially strapped. Lately church leadership turns to Budapest for help. The Orbán Government has responded and started to help these congregations – financially or otherwise. In exchange Hungarian government officials and diplomats frequently use Hungarian Reformed Churches in North-America as a pulpit to preach Orbanism, a mixture of high-powered Hungarian nationalism, Islamophobia, anti-migrant sentiments with a hint of anti-Semitism. Last year the Free Magyar Reformed Church of San Francisco and Vicinity hosted President János Áder. An impromptu meeting was held where Áder met “the leaders” of the local Hungarian community. A photo op for Áder to preach his view of the world to local devotees. BTW, Áder has never been officially invited to the US. He uses private visits to Hungarian communities to show the folks back home that he is respected and eagerly awaited politician in America. Church leaders also let András Doncsev, one-time Orbán speechwriter and current Hungarian consul in San Francisco, to speak. János Áder (right) with his wife visited Magyari-Köpe (in the middle) in California in 2018. In the United States church and state are separated by law. Churches enjoy tax advantages and cannot be used as a pulpit for political propaganda. I wonder if leaders of North-America’s Hungarian Reformed Churches know that. In the US, churches can now make their faith political. Politics and churches–it’s an interesting conundrum. My problem is when the political discourse is partisan or extremist. On the other hand, I support Catholic churches, clergy and religious speaking out on some political matters, particularly against capital punishment in the U.S. I think for instance of Sister Helen Prejean. In Canada, mainline Protestant congregations (especially United and Anglican) and some Catholic parishes are often at the forefront of issues pertaining to refugee rights and protection, as well as anti-poverty initiatives. We also have groups such as Development and Peace, a charity of the Canadian Catholic church, engaged internationally in justice and anti-poverty initiatives. Perhaps these can be perceived as political, yet I would argue that such issues are at the heart of Christ’s message. Our religion notes, which played a certain role in the transfer to the next higher class, were essentially dependent on Sunday church attendance. When I look out the window today, in a small village in Hungary, I see our pastor dedicating for a few thousand forints the famous Horthy statue made of wood, which was later sprayed with red lacquer. His “sheeps” are just those who break their mouths about everybody and everything and excel themselves with other bad things … that is pure hypocrisy. I think it was four years ago that a church in Siofok distributed food for the poorest … Roma had been sent away because they did not have permission cards for them … they did not give them either. I respect if one is a believer, but the church is not the faith. 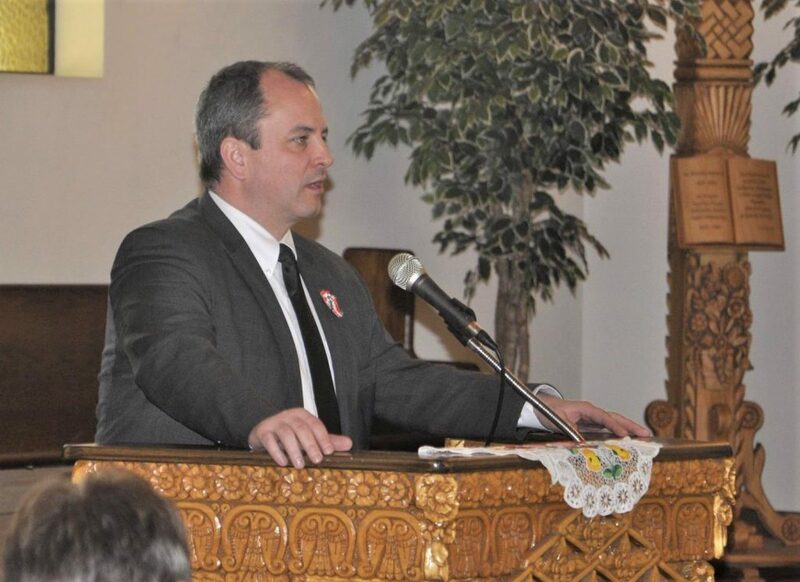 Don Kichote… Can foreign politicians use US churches as a pulpit? It seems that is against the FARA regulations and the church may lose its tax status. Of course, they can re-incorporate as a political lobby organization with different tax status. Can foreign politicians use US churches as a pulpit? First I don´t know if the Order that Trump has signed, how the article from Politiko describes, is up to date. If yes, there is “Critics say relaxing the rules would inappropriately let churches use tax-free donations to promote political candidates and causes.”, so the answer have to be yes?